Still correcting tests, assignments and papers by hand? Be my guest, but I think you’re taking the hard and time consuming path. Why not take a helping hand from technology? 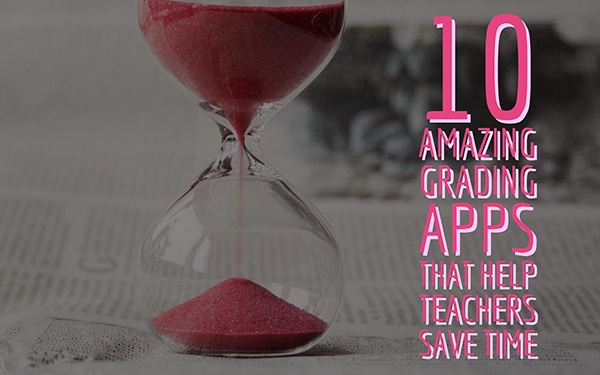 In this blog post, I will suggest some amazing grading apps that get your work done. Instead of spending hours and hours grading, you can use that time to refine your lessons, get to know your students, differentiate, personalize learning and so on. So, how to save time with grading? Here’s the answer. Showbie is a platform that combines all essential tools for assignments, communication and feedback. 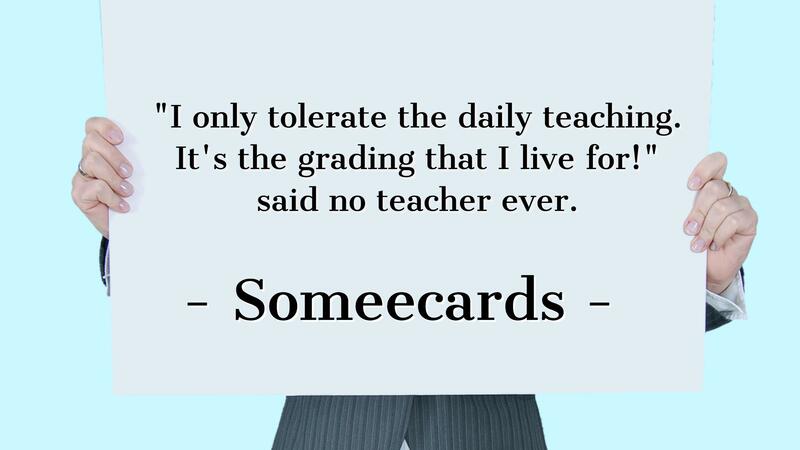 Showbie has an effective gradebook with many other features. You can mark and grade your students’ work using the class listing within the Shared Folder, easily grade student work while viewing it, and add grades as a value. You can also add a meaningful text with feedback. You also have some room to add text comments. But the real time-saver is the ability to add audio feedback: just hit record! It’s also possible to quickly look at students grades by assignment, class or on a individual basis. On top of it all, you can export grades in a CVS file, as HTML, or in an email template that includes an attached CVS file. Viper is an anti-plagiarism scanner and promises to scan uploaded documents for plagiarism, a serious issue in academic, business, and publishing circles. It’s aimed at students and is handy for reducing the copying and shopping of term papers and essays. Viper is effective at identifying plagiarized passages and noticing potentially similar passages, mis-identified or mis-attributed quotes, and other suspicious sentences. ZipGrade is a grading app that helps you grade multiple choice tests in minutes. Simply scan the tests with your smartphone, and the app does the rest. Of course, not everything is about grades. This app only gives grades, it’s up to you to know on what the students need and what questions you have to explain again. Don’t forget to give some good feedback! BookWidgets is a learning platform that allows teachers to create fun and engaging interactive lessons for tablets and computers. 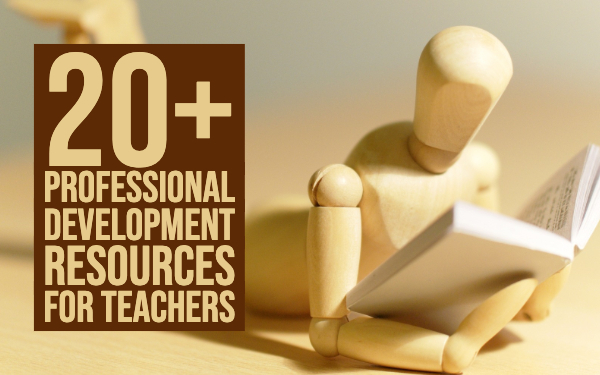 The tool has over 40 activities, such as quizzes, crosswords, worksheets, and other interactive teaching apps. Once the teacher has made an assignment, the student can fill it in and send it back to the teacher. By the time it gets there, the assignement or test is already graded! The teachers' dashboard allows you to follow your student in time and give them constructive feedback. You access the platform and download the results anytime, anywhere. Itunes U makes it easy to organize your classroom. With homework hand-in, an integrated grade book, and private discussions everything will be just fine. You can deliver lessons, grade assignments, and stay connected. Everything is just one iPad away. The integrated grade book lets you know exactly how each student is doing, it lets you see when a student has viewed an assignment, when their work is complete, and when it’s time to reach out with a reminder. With Edmodo you can quickly create groups, assign homework, schedule quizzes, manage progress, and more. 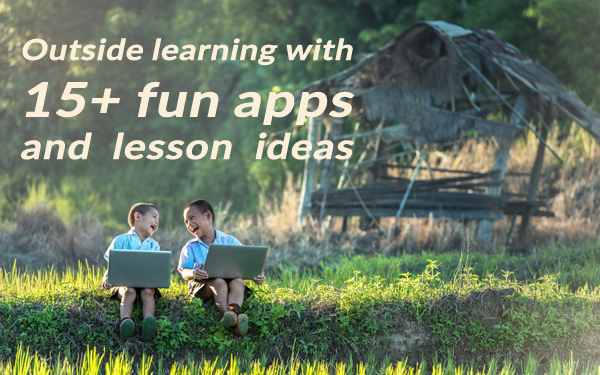 Edmodo is a platform designed to give you complete control over your digital classroom. Its layout looks a lot like Facebook. You can assign an ordinary quiz to your students and Edmodo will grade it automatically. Grade ticker is a simple tool for professors and teachers to keep track of point deductions as you grade papers and exams. Calculate the grade at the exact moment and save time by not doing a post grade tally. GradeBook Pro is a powerful classroom management tool. Its many features allow teachers to categorize assignments and view grades by category, use either weighted or standard grade scales, award extra credit or deduct penalty points, calculate the average score for each assignment, evaluate overall class performance, email grade, attendance or status reports to students. You can create PDF reports of class grades, rosters and attendance records. Flubaroo is a free add-on to Google Forms/Sheets. It helps you grade and analyze online assignments and assessments. You can also email scores to students! With Flubaroo you’ll be able to get scores for each student, and identify students in need of extra help, view the average score, and a histogram of scores and quickly identifies questions which a majority of the students missed. Formative lets you distribute an assignment to your students. Students make it, and you get live results. You can follow your students in their learning process of that assignment and give instant grades and feedback. It basically is the same as Google forms, but easier to use and with some other essential features that a teacher can’t miss out on. Formative is also a nice tool that you can use for - take a guess - formative assessments. Teachers and students can use Edubirdie to check whether they used unique resources in their writings or papers. The plagiarism checker lets you upload a file or paste your text and will give your resources a percentage. This percentage illustrates the uniqueness of your text. Apart from these amazing and helpful apps, grades have to be justified. These apps are useless in speaking exercises or large essays. 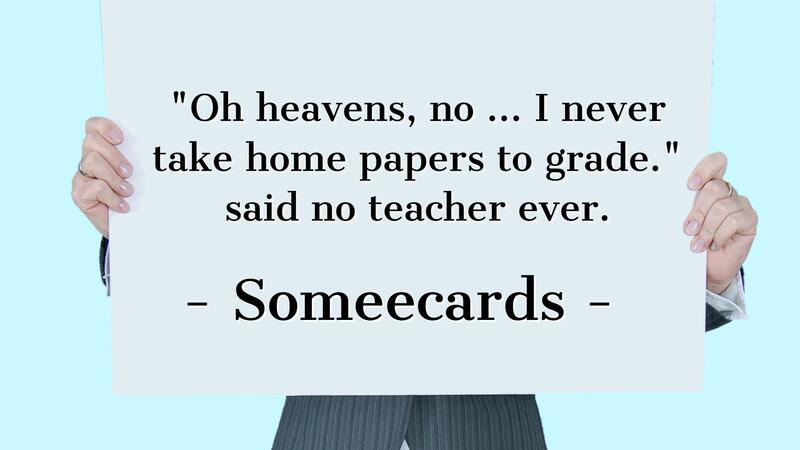 Anyone can grade, that is true, but some teachers still doubt their objectivity and what they exactly just graded. Did I grade the right curriculum objectives and what does that grade mean? In that case it’s best to use rubrics assessment tools. A rubric is a simple way to set up grading criteria for assignments. 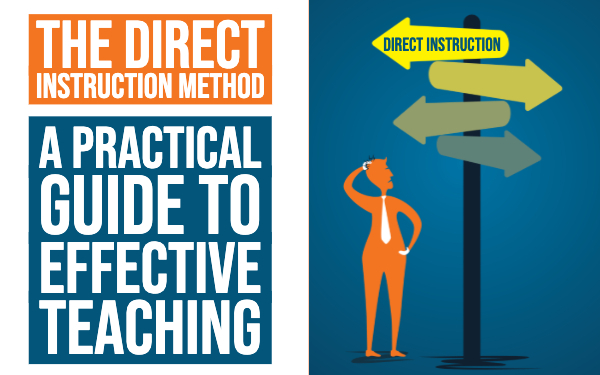 It lets you be more objective when assessing the student. You can use it with a value linked to it, or without. Then it is more a formative assessment. Not only is this tool useful for teachers, it is helpful for students as well. It defines in writing what is expected of the student. The student better understands the assessment criteria and can learn more purposefully. That is why the quality of the student’s work will be better from the beginning. How do I make good rubrics? Don’t worry. This website provides a nice guide for you! 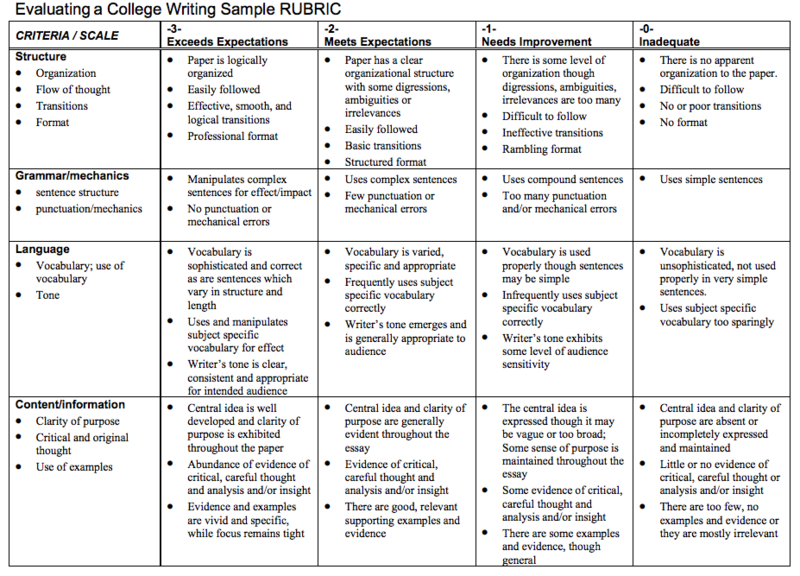 Click here to learn how to make a good rubric. 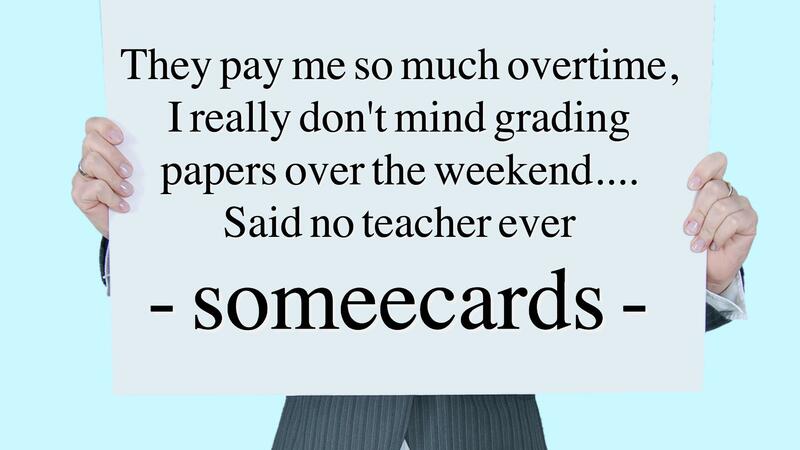 Share this post with other teachers who are in over their head with grading. They’ll need it. Good luck!